Marriage Renovations And...: the MAC is back! FINALLY! 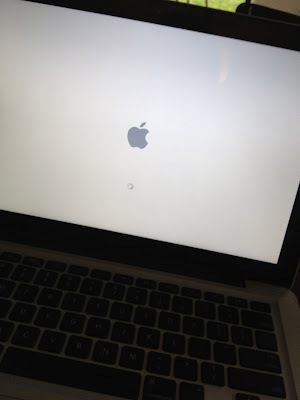 I got a chance to take my MacBook into the Apple store and get it fixed!!! So it's back! I'm back and a blogging we will go! So so much has been going on! We said farewell Sydney and Balmain. We moved out, we moved in, we have unpacked and trying our best to not feel too Sydney homesick. Trying to make the house (not our home) feel a little homely and keeping warm. Abigail has been a little champ through it all and I'm oh so proud of her! She is now crawling! Slowly, but getting there. At first she was crawling for $100 notes that her pop put out for her and for Easter eggs that were left over! One very exciting thing that has happened is that my littlest brother passed his final exams and flights and is now officially a qualified commercial pilot! We are all so super proud of him and we had a family dinner at our house (the day after we moved in!) on Tuesday. All of my parents children have our father sweet tooth and when asked what he wanted for dinner he chose the predictable chicken schnitzels and for dessert??? 1. line a deep 23cm round cake pan with plastic wrap, extending wrap so it will cover pan. Combine ice-cream and raspberries in a bowl. Spoon ice-cream into pan smooth the surface. Fold plastic wrap over to enclose. Freeze for 3 hours or until firm. 3. grease same pan, line the base and sides with baking paper. 4. Combine butter, 200g dark chocolate and sugar in a medium saucepan, stir over low heat until smooth. Cool for 10 minutes. 5. Stir in eggs, sifted flour and 150g of chocolate. Spread mixture into pan. Bake brownie for about 30 minutes. Cool in pan. 6. Halve brownie horizontally. 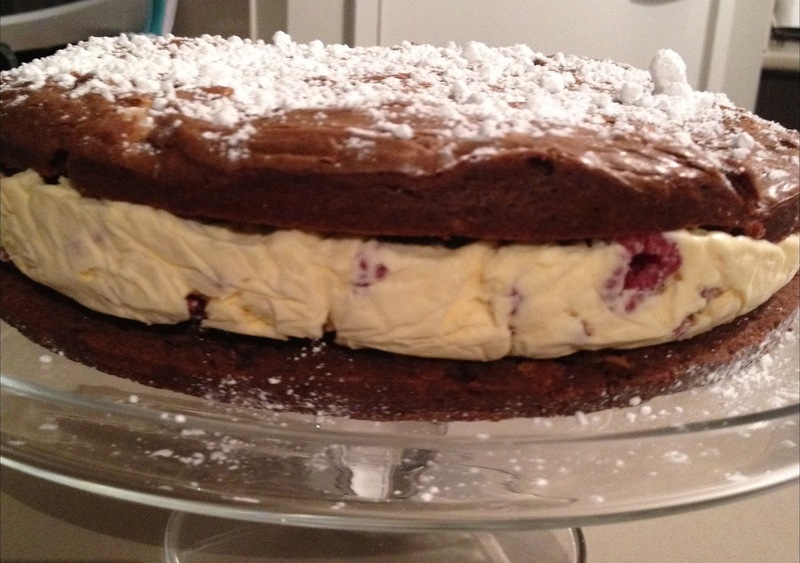 Sandwich ice-cream cake between brownie slices. 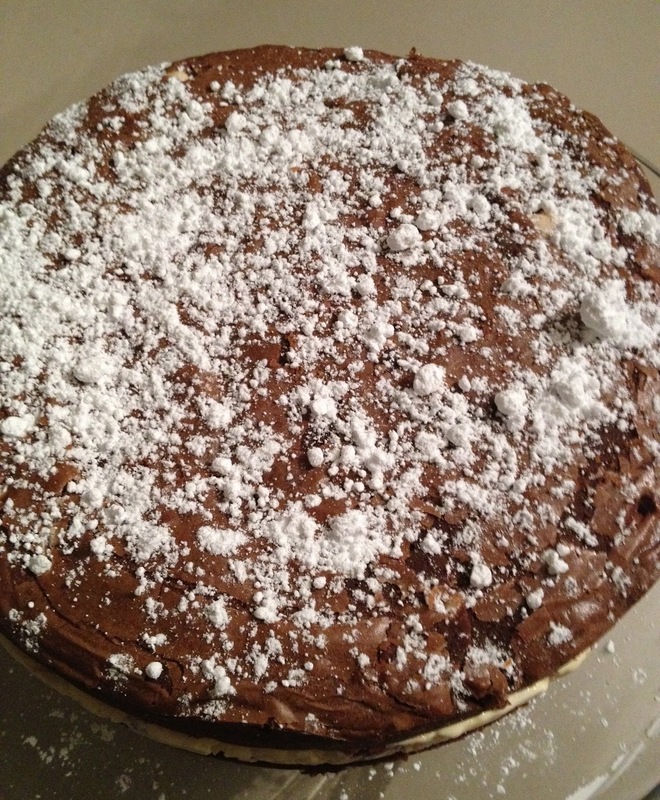 Serve immediately dusted with icing sugar. Serve with fresh raspberries if desired. 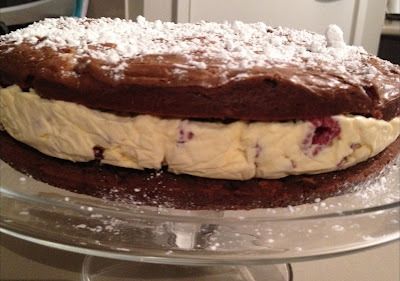 It was a huge hit and I think a pretty fail safe recipe as it is from The Women's Weekly! I was so distracted by the cake that I couldn't even spell in the first comment I left, so here's take 2. That cake looks amazing - definitely going to make this next time I need a dessert. Thanks for the recipe! That cake sounds incredibly good and incredibly bad at the same time! Now to find a reason to make it! Just in case you'd not noticed lately (as if) - Abi is one very, very cute little bubba! I wish the video had of uploaded. She was so funny! I'll keep trying. Internet speed not too great where we are and I think that's why. Yay - you are back! Abi is looking more and more grownup, very adorable. That looks like a ripper of a cake - might have to make that one! OMG that cake looks so good! She's so clever I'd crawl for hundred dollar bills too! Glad the move has gone well for you.